Home › Archive by Category "Arts & Designs"
A favicon or also known as “Favorites Icon” is a small graphic that is associated with a web page or a whole website. Sometimes favicon is also known as a shortcut icon, website icon, URL icon or a bookmark icon. It is normally sized at 16×16, 32×32 or 64×64 pixel square icon. 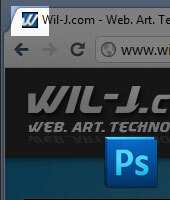 Most site favicons are designed as a small rendition of their logo or other branding mechanism. They are seen on tab bars, bookmarks or favorites menu/manager or even on your RSS feeds like Google Reader and others. Here’s a step-by-step guide on how you’ll create your own favicon using Adobe Photoshop. The Free Font Converter allows you to quickly convert between many font formats without the hassle of installing any software on your computer. It works in different operating system; Windows, Mac and Linux. It converts all common font formats including TrueType (.ttf), OpenType (.oft) and PostScript (.ps). FFC can also convert many of the less well known font formats including Suitcase (.suit) and Data Fork (.dfont) fonts. Convert your fonts now! For Web Designers & some Developers, having a Cheat Sheet a really big help and what we have here is a very good-looking and easy to navigate CSS Cheat Sheet. You can print it and put it on you wall JPG & PDF formats are available for download.